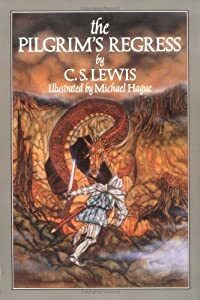 The Last Battle is the cruelest, and most heart rending of the Chronicles of Narnia, as perhaps is appropriate for the last book in the series. It is set in the last days of the world of Narnia. There is a false Aslan, the Narnian Anti-Christ, abroad in the western woods of Narnia with a false prophet, the ape Shift, to promote his claims. Under Shift’s guidance the Calormen have been infiltrating into Narnia and cutting down the trees, killing their dryads. Tash, the Calormen god has taken up residence in Narnia to be worshipped as Tashlan. The scenes where Tash makes an appearance must be the most terrifying in the whole Chronicles. Tirian, the last king of Narnia, and the two children sent from our world, Eustace Shrubb and Jill Pole try to save Narnia, but nothing they do works. They try to expose the false Aslan as the befuddled and repentant donkey Puzzle wearing a lion skin, only to have Shift and the Calorman captain announce that there is a donkey pretending to be Aslan and so Aslan will not appear to the animals any more. They await reinforcements from Cair Paravel only to learn that Cair Paravel has fallen to a Calormen army. They rescue Dwarfs being led into slavery, but the Dwarfs decide that they will not be ruled either by Calormen or the King of Narnia. In the end, Tirian and the two children fight a desperate battle for Narnia with the few animals who will fight alongside them, knowing there is no hope of victory with each one thrown one by one into a stable where something terrible, perhaps Tash, is waiting. All throughout the beginning and middle of the Last Battle the reader’s hopes are raised again and again, only to be cruelly dashed. It seems that all is lost. But then, Aslan makes his long delayed appearance. The stable turns out to be not the home of Tash, who is promptly banished to his own place, but the way to Aslan’s country where the Seven Friends of Narnia are waiting to greet Tirian. Aslan is there to set everything to rights, though this means that Narnia must be ended. Yet the end of Narnia is not really cause for grief, for as Tirian and the Friends discover by going further up and further in, that the real Narnia, of which the Narnia they knew was only a shadow, is eternal and everything that was good about the old Narnia, and England, will be preserved forever in the new Narnia. As I write this, things are looking a little bleak for our country. The frontrunner in the upcoming presidential election is an unprincipled, amoral woman who would gladly sell out they country she aspires to lead for her own profit. This ought not to be at all surprising since she is the nominee of an unprincipled, amoral political party that places the pursuit of political power ahead of honor or decency and has come to have a vision for this country that is sharply at odds with the principles of freedom it was founded upon. Not that her opponent is better. He is a narcissistic con man who tells people what they want to hear and who has somehow become the presidential candidate of a political party that ideologically he has next to nothing in common with, insofar as he espouses any coherent political ideology at all. Neither of the two major candidates seem to have much use for the concept of liberty, particularly religious liberty. Even the Libertarian candidate doesn’t seem to really have much support for the idea of liberty in the abstract. He and his running mate are willing to fight for the freedom to smoke marijuana. They are less willing to fight for the freedom of a person to live a life according to the beliefs of their faith, unmolested by the state. We may be facing dark times in the next decade, whoever wins the election. It would be easy to feel despair. There seems to be nothing we can do to keep the country from making a disastrous wrong turn. It is not even easy to see what the right turn might be. It is only natural to worry about the future. We shouldn’t worry, all the same. In the end, we are not the ones who will decide what comes next. Not even our leaders, whatever their pretensions, will have the last word. It is Aslan, or Jesus Christ as he is known in our world, who is our king and is the one guiding events according to his plan. Aslan is the one who has everything under control and he will make everything right in the end. It is not for us to question or doubt him. We are all between the paws of the true Aslan and we must take what adventures he sends us as true Narnians must and have faith that Aslan will guide us. Sometime in the 1930s, C. S. Lewis and his friend J. R. R. Tolkien were complaining about the state of contemporary English fiction. “Tollers, there is too little of what we really like in stories”, Lewis said to Tolkien, “I am afraid we shall have to write some ourselves”. After some discussion on the subject, the two writers agreed that Tolkien would write a time travel story while Lewis would try his hand at a space travel story. The results were typical of the very different styles and personalities of the two men. Tolkien was a perfectionist who was never satisfied with anything he wrote and his proposed story was never finished. Lewis was more energetic and managed to write the three novels that make up his “Space Trilogy” in less than a decade. 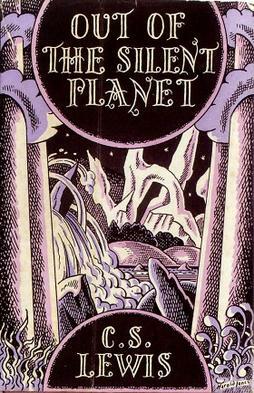 Out of the Silent Planet is the first book in the trilogy. The story begins when Elwin Ransom, a philologist who is spending his vacation walking around the English countryside, comes across two men, Weston and Devine, trying to force a retarded young man into some structure. Ransom rescues the young man, only to be taken himself on what turns out to be a space ship traveling to a planet called Malacandra, or Mars. 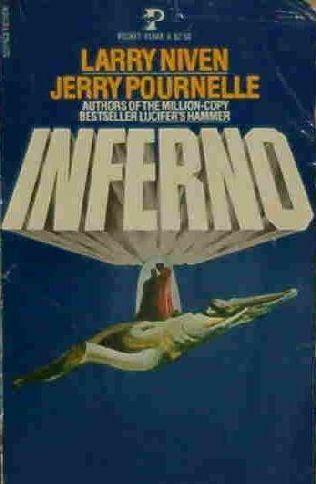 Along the way, Ransom discovers that Weston and Devine intend to deliver him as a sort of human sacrifice to the Malacandrans and as soon as they land, he escapes. Ransom quickly encounters the Malacandrans and learns that they are not the savage, primitive monsters he had been led to believe they were. There are three species of Malacandrans; the seal like Hrossa, the tall, wise Sorns, and the handy Pfifltriggi. A fourth race, the invisible Eldili live in space and are more like spirits or angels. All three races are unfallen and thus lack the inclination to evil that the inhabitants of our Earth or Thulcandra, the Silent Planet. The only word in the Malacandran language that Ransom can find to express the concept of evil is “bent”, perhaps the most apt word to describe the problems or humanity that I have ever heard. There is not much action in Out of the Silent Planet, and there are slow places, but the plot is far from dull. I think the depictions of the extraterrestrials are among the best I have read in science fiction. The science is badly dated, though Lewis made the best use of contemporary theories and knowledge about Mars available at the time. In the climax, Ransom is brought before the ruling eldil of Malacandra, the Oyarsa. He discovers that the Oyarsa of Earth is bent and confined to Earth’s immediate region in space. As a result, Earth is inaccessible to the Eldil and is named Thulcandra, the Silent Planet. Ransom answers the Oyarsa’s questions about life on Thulcandra and affirms things are very bent indeed. Weston and Devine are brought forward, but they insist on treating the Malacandrans like ignorant savages, even speaking in a ridiculous pidgin. This scene is a send up of modern man’s pretensions of superiority over “primitives”, and Ransom’s translation of Weston’s speech asserting Human superiority over the Malacandrans is priceless. Out of the Silent Planet seems to be a promising beginning to the Space Trilogy and can stand on its own. I am not sure if it can really be classed as properly science fiction so much as a theological fantasy, or an up to date medieval romance, but however you might classify it, it is worth the effort of reading. I have always considered The Screwtape Letters as my favorite of C. S. Lewis’s writings, but now I think that book might have to make way for The Great Divorce. I have just finished reading in and have found it to be even more insightful that Screwtape, though with none of the humor. 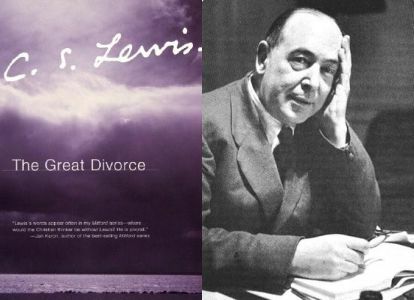 The Great Divorce is a story about Heaven and Hell, perhaps similar in theme and intent to Dante’s Divine Comedy and others, though the Heaven and Hell that Lewis portrays is not much like the conventional pictures of Heaven and Hell. The Great Divorce begins with the narrator, presumably Lewis himself, in a gray, dismal, rainy city of empty streets. This is Hell. There are no flames, devils, or torments. These things might make Hell interesting and Lewis makes subtly makes the point that while evil may be hurtful, it is also, in the end, boring. The streets of Hell are empty, not because Hell itself is empty, but because the inhabitants cannot stand each other. As soon as anyone arrives in Hell, he invariably quarrels with everyone around him and moves as far away as he can. So, there are miles, even light years between neighbors. There is a bus for those who want to travel to Heaven to see what it is like. The narrator, along with a group of quarreling travelers boards the bus to Heaven. Most of the people from Hell don’t much like it there. In Heaven, they are revealed to be ghosts, while Heaven is real and solid, more real and solid than Earth. The ghosts in Heaven cannot lift a single leaf. Grass does not bend beneath their feet. The people of Heaven are bright, shining spirits. The bulk of the book consists of the narrator overhearing conversations between the ghosts and relatives or acquaintances from Heaven, and the narrator’s own conversation with Lewis’s favorite writer, George MacDonald. The spirits of Heaven plead with the ghosts to stay but the ghosts all have one reason or another why they cannot or will not. As MacDonald explains, the one thing that the people from Hell need to do is to forget about their preoccupation with themselves and learn to love God. Once they have ceased to trouble about themselves, they will become more truly the individuals they were meant to be. But, they simply will not do it. Lewis is careful to be sure that the reader knows that this book is only a work of fiction and most emphatically does not claim to be any sort of prophet or to have any real knowledge of the afterlife. In fact, the story ends with the narrator waking from a dream. Still, I think The Great Divorce shows a great deal of insight into the nature of Heaven and Hell, and of good and evil. There is really not much I can add to all of the commentary on this spiritual classic by C. S. Lewis. I imagine that nearly everyone knows at least the premise, a series of letters by the experienced demon Screwtape to his nephew, Wormwood, the inexperienced tempter. 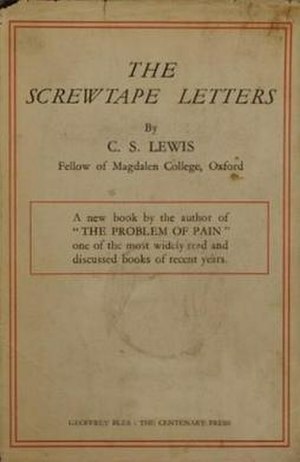 The Screwtape Letters is my personal favorite of Lewis’s books, even more so than the Chronicles of Narnia. I must confess though, that I find reading The Screwtape Letters a slightly frightening experience. I keep imagining my own tempter sitting on my shoulder, writing glowing letters about his success in guiding his “patient” to Hell. Did Jesus Die for Klingons? This might seem a strange question to ask, yet they are asking it at the 100 year Starship Symposium. To be more precise in an address to the symposium Professor Christian Weideman discussed the possible implications of discovering extraterrestrial life on the world’s religions, especially Christianity. Here is the story in the Daily Mail. A Christian professor has told a U.S. Government-backed conference on space travel that the discovery of aliens would lead to significant problems for his own religion. In a speech entitled ‘Did Jesus die for Klingons too?’, German academic Christian Weidemann outlined the possible ramifications that the ultimate space discovery would engender. Speaking at the 100 Year Starship Symposium in Orlando Florida, Professor Weidemann also attempted to outline how the inevitable theological conflict might be resolved. Weidemann, a professor at the Ruhr-University Bochum, said that the death of Christ, some 2,000 years ago, was designed to save all creation. However, the whole of creation, as defined by scientists, includes 125 billion galaxies with hundreds of billions of stars in each galaxy. That means that if intelligent life exists on other planets, then Jesus or God would have to have visited them too, and sacrificed himself equally for Martian-kind as well as mankind. The alternative, posits Weidemann, is that Jesus chose earthlings as the single race to save and abandoned every other life form in the galaxy. ‘If there are extra-terrestrial intelligent beings at all, it is safe to assume that most of them are sinners too,’ he said, according to Space.com. However, the conflict of theology would be more of a problem for Christians than it would for other religions. Hindus believe in multiple gods, and would therefore not have an issue with Weidemann’s suggestion about multiple incarnations of God, and in the Muslim world Muhammad was not God incarnate, simple a prophet, which would also allow for the ‘multiple God theory’. To be honest, I really don’t see why this would be a problem for Christians in particular. I have always taken it for granted that there are intelligent extraterrestrials out there. I simply cannot imagine that God would create this huge universe all for the benefit of the inhabitants of one planet. 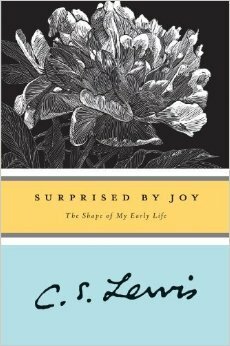 In fact, C. S. Lewis has already explored the theological implications in his Space Trilogy. In these books, the protagonist Ransom travels to Mars and Venus. He discovers that Earth is fallen and therefore cut off from the rest of the universe, hence the “Silent Planet. Mars is inhabited by a race of angel-like creatures while Venus is still in an edenic period since its inhabitants have never fallen. Lewis also dealt with the matter in the Chronicles of Narnia. As he explained, Aslan is not an allegory of Jesus. He is Jesus, as he might appear in a world of talking animals. In our world, he took the form of a man. In Narnia he is a lion. So, did Jesus die for the Klingons? I really couldn’t say, having never met any Klingons. I would speculate that either other intelligent races have never fallen, and therefore be without sin, or they have fallen and God has made provision for their atonement in a manner appropriate to each race.